No longer are your fellow Internet poker players just text and an infernal blinking light. As poker players, PokerStars know how important it is to be able to recognize the faces at your table. That's why at PokerStars, you have the option of selecting a personalized image to represent you at the virtual tables. The image can be of anything you want: Your pet, your favorite movie star or, of course, you! 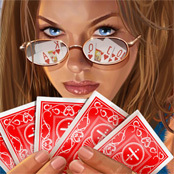 At Artpoker.net we offer you cool images which you can use to your profile. When you open your PokerStars account, you'll have the option of supplying your own picture, or not providing an image at all. Have you put on your poker face? Here’s how to upload your image and see your competitors face to face. The first time you sign up for your PokerStars account, you will be given the option to select an image to be displayed to other players at the table. Click on that file, and press Open. Please wait while the selected image is loaded into memory locally to display. Now you need to drag the selection box over the area of the image you wish to display. The smaller window at right shows you what image will appear at the table. Once you are satisfied with the image in the smaller window, press OK.
Continue with the rest of your registration. Once your image has been screened for suitability, it will show up along with your User ID (nickname) at the tables. If you are unsatisfied with the image you selected during registration and wish to change it (or if you did not select an image during registration), you can do so by clicking Select/Change Image from the Account menu. Select Change Image, and follow the steps outlined above. Click Save when you are finished. A player's image is similar to his User ID (nickname) and it is used to identify him to other players at the table. 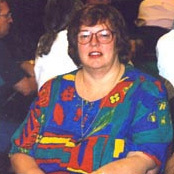 If you are unhappy with your current image and decide to change it, please choose your new image carefully. PokerStars do not allow for an image to be changed more than once, except in special circumstances. That’s all there is to putting your face in the game!